The cover is ready! And the manuscript is in! Now, we just have to wait until the fall. 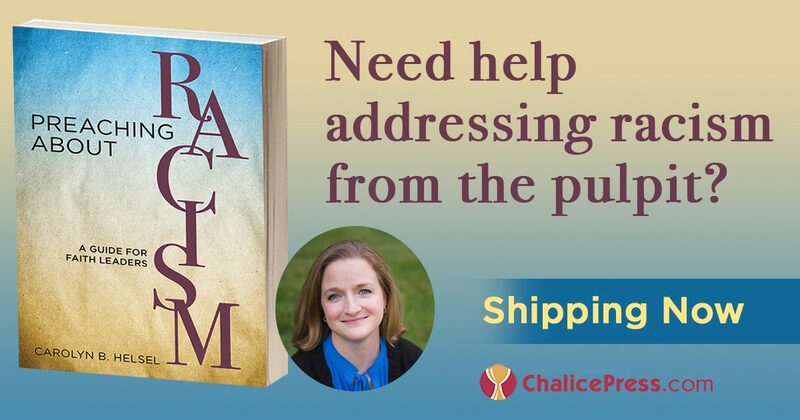 You can pre-order Preaching about Racism: A Guide for White Faith Leaders now on Chalice Press’ website: https://www.chalicepress.com/PreachingAboutRacism. If your congregation or faith community or small group is already using Anxious to Talk about It, this book will help you as you focus on the work of preaching and incorporating insights into your sermons that continue to call attention to the challenges of racism today. Please email/call me. I would love to have you help my school through this process. I am a friend of Robbie Caldwell who is at Cedar Creek with you. Hi Kimberly–let me know the best way to get a hold of you–Robbie has my contact info.